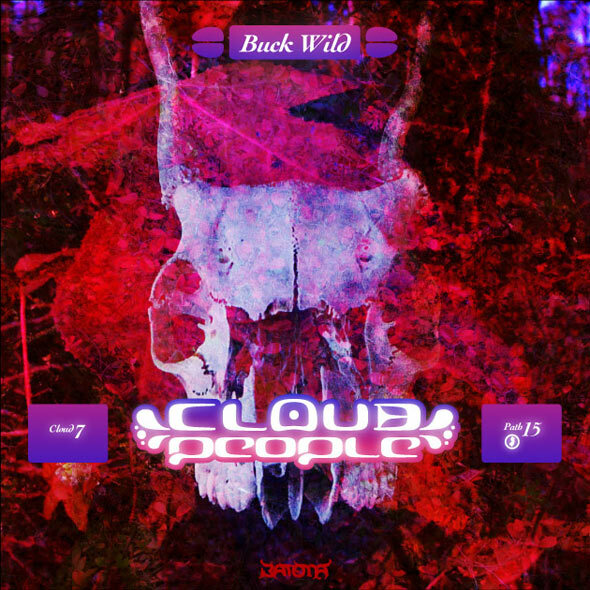 Cloud People | Cloud People "Buck Wild"
As the harvest comes to an end and deer mating season begins, Buck Wild is delivered to connect you into the woodland wild via rhythm power. Tracks feature haunting vocals from 1692, a young woman who lives deep in a remote part of the Pine Barrens where she practices her crafts alone. This is the soundtrack for solo-excursions in the turning forest to ponder the thousands and thousands of years of peoples who have been here before, the generations to come, our fleeting place in the cosmos and what we can do with it. Maybe you'll find other uses. Highly suitable for 140 BPM dancefloors, retro raves, Pinelands gatherings and star watching. Cloud 7. Released October 23, 2012.